Arts and culture play a big role in the quality of life—but their value is often underestimated. Arts institutions communicate art for art’s sake while policymakers see arts funding as an elite drain on public funds. We helped the Greater Philadelphia Cultural Alliance change that dynamic for good. 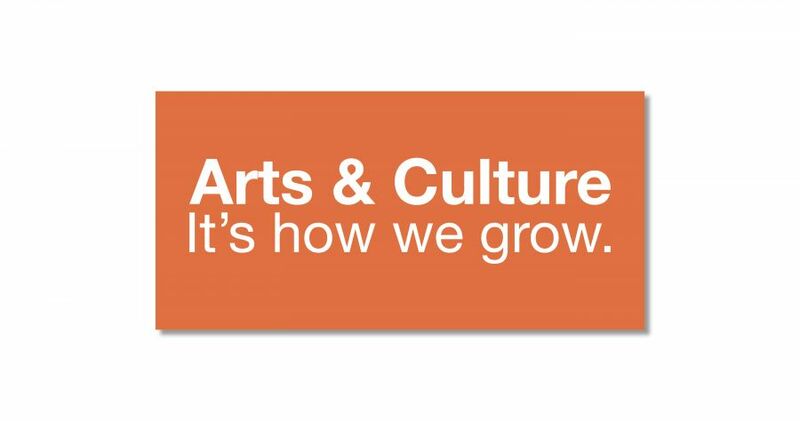 Made up of more than 300 arts and cultural organizations spread throughout the Philadelphia region, the Greater Philadelphia Cultural Alliance had first-class data and research documenting their economic value to the region, but they were losing public funding and under siege with new tax proposals. These were symptoms of an underlying sentiment that arts are nice, but not essential. The Cultural Alliance needed to unite and mobilize the arts community in a way that caused businesses, communities, elected officials and individuals to see arts and culture as a need rather than a want when it came to policy, funding and patronage. Interviews with funders and leaders from business, public office, economic development, criminal justice, education and arts and culture identified a key strategic opportunity: the arts were seen as an essential driver of economic development and community groups wanted the arts and culture establishment to come into their neighborhoods to help them grow. 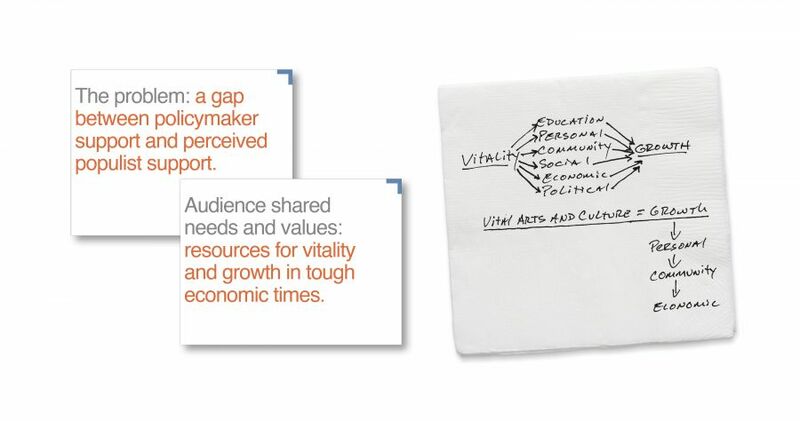 The solution was a brand, message and grassroots organizing strategy—Arts and culture: It’s how we grow. 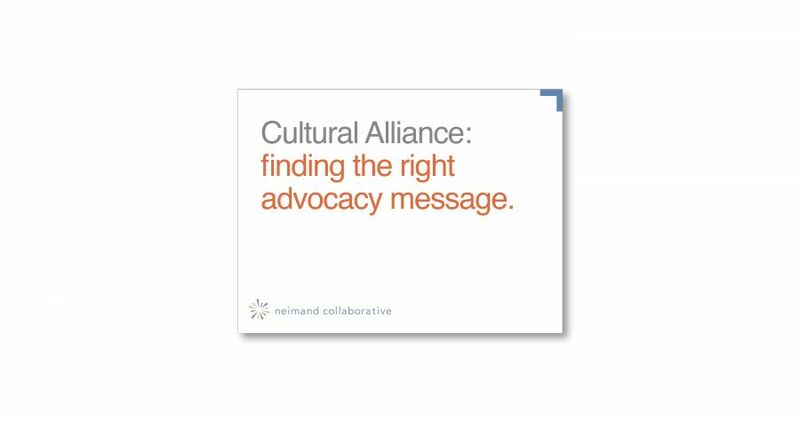 The Cultural Alliance reorganized internal resources to create a community focus on bringing stakeholders from diverse groups together to identify their needs and broker partnerships with arts and cultural organizations that could provide solutions. Philadelphia’s arts community is now seen as an essential solution for helping Philadelphians grow their economy and quality of life.